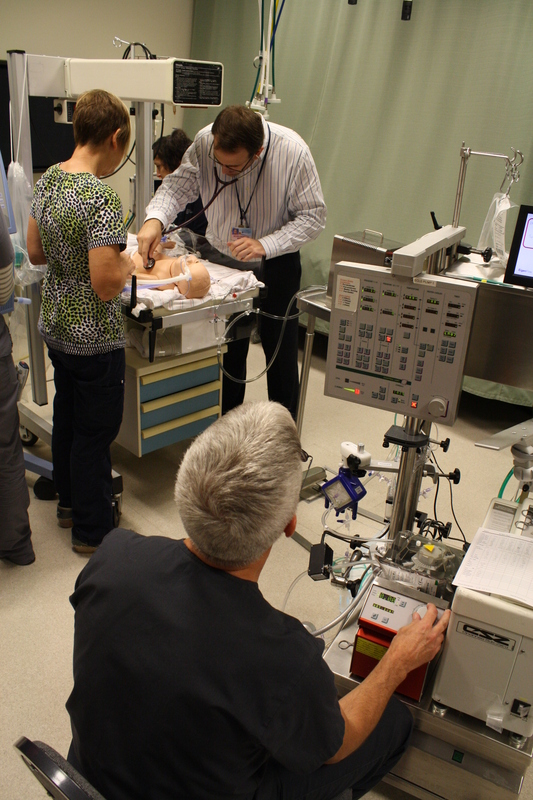 Neonatal ECMO simulation, under the direction of Dr. Kristen Glass, is an interprofessional simulation involving physicians, nurses, respiratory therapists, and perfusionists. Defining Excellence in Healthcare Simulation Programs – This official publication of the Society for Simulation in Healthcare (SSiH) contains standards of practice, resources and recommendations. The scope includes the four areas of SSiH accreditation: teaching, research, assessment and systems integration. INACSL Standards of Best Practice – The International Nursing Association for Clinical Simulation and Learning (INACSL) has published an evidence-based set of nine guidelines for simulation learning. INACSL webinars – The International Nursing Association for Clinical Simulation and Learning (INACSL) published a set of live and recorded webinar sessions. Some webinars are free, some have a fee associated with them. Live Learning Center – Webinars are provided by the Society for Simulation in Healthcare (SSiH) on a variety of topics. MedEd Portal – Sponsored by the Association of American Medical Colleges (AAMC) and the American Dental Education Association (ADEA), this free site maintains peer reviewed, non-peer reviewed and continuing educational material for a variety of medical specialties. NEJM videos – The New England Journal of Medicine (NEJM) published a set of over sixty skill-based videos. They are free for use and can be downloaded for educational purposes. Simulation Innovation Resource Center (SIRC) – SIRC is an e-learning site sponsored by the National League for Nursing and Laerdal Medical. 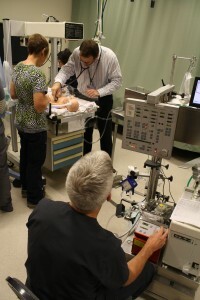 The site provides nursing faculty with resources for integrating simulation into their curriculum. Certified Healthcare Simulation Educator (CHSE) – The Society for Simulation in Healthcare offers this certification, which is valid for three years. Certified Healthcare Simulation Educator – Advanced (CHSE-A) – This is an advanced certification from the Society for Simulation in Healthcare for those already holding a CHSE certification. Certified Healthcare Simulation Operations Specialist (CHSOS) – This is the Society for Simulation in Healthcare’s most recent certification. It is intended for those in simulation technology and operations. Surgical Simulation Fellowship – This is a one year program offered at four Accredited Education Institutes in the United States. The certification is granted by the American College of Surgeons.